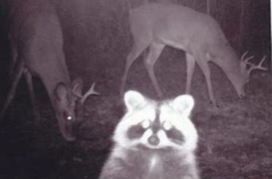 A sneaky racoon is captured by a Trail Camera and poses for a photo with two young bucks. Photo courtesy of Danielle Nason, The Montanian. In February of this year, there was a trial for Libby’s Justin Phillip Hoover. Hoover was caught on a trail camera, cutting wood in a park that had “no cutting” restrictions. On camera he assaulted his child, for which he ended up in jail, hence the February trial. The outcome of his case is not the debate in question among Lincoln County Residents of late. The question instead, is why are there trail cameras in the forest shooting footage of us? 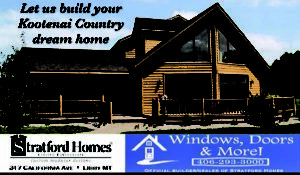 Hear some of our residents’ thoughts on the matter from the Lincoln County News and Opinions Facebook page. “Trail cams are used extensively as security cameras in all kinds of situations. We taxpayers have to pay for vandalism repairs to public property, seems reasonable that trail cams can double as security cams and catch offenders (of all kinds) in order to prevent expensive damage or get some kind of reparation from the offenders,” said Amy L. Driggs of Eureka, Mont. Historically, common use of trail cameras have included use on national parks, and on private or publicly owned properties to monitor migration patterns of local animals being studied, people dumping garbage or private property illegally, poaching, and other such instances of vandalism or misuse of public and state lands. “There isn’t a right to privacy on public land,” said Kristin Michelle of Libby, Mont. “It’s a much better use of tax dollars to catch them, than a fulltime warden patrolling the area,” said Sarah Willman Crace of Libby. “If you aren’t doing anything wrong, you have nothing to worry about. Glad these cameras can capture the unseen,” said Sandra Barnes of Libby. On the Fish Wildlife and Parks website (www.montana.gov), there are several things noted regarding the agency’s use of cameras on state land. FWP uses remote, motion-detecting trail cameras, some of which have sound, to help identify problem animals in hopes of avoiding conflicts. The conflicts noted specifically on the site are for bears getting into chicken coops and eating chicken food. The FWP site notes that it uses trail camera videos to reveal on-site camera details that might be otherwise confused. For instance, a landowner calling to report a grizzly that is trying to get into their chicken coop at night. The camera footage may be able to disclose that it is not a grizzly, but a collared black bear that is the one wreaking havoc. The cameras can also help the FWP to become aware when new animals move into the monitored areas. The site also notes that Montana’s wildlife can be challenging to monitor, but a trail camera video can help FWP to avoid conflicts with both humans and animals. 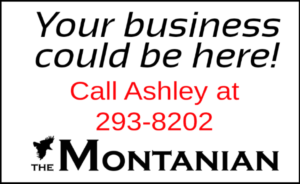 Most Montana State departments use cameras of one sort or another on the places that the general public will be. In today’s day of endless technology, there seem to be cameras everywhere you go. 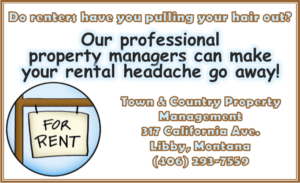 Even in Libby, there are cameras used by both public and private property owners. When you go shopping at Rosauers, you are on camera throughout the store and parking lot. When you pay your vehicle licensing fees, you are again on camera walking into the building until you are out of the parking lot. Even when you are hiking the trails of a State-owned park, you are likely to be caught on camera at one point or another during your visit. At this time, after numerous attempts with multiple departments, The Montanian has been unable to obtain a comment from anyone representing either Fish Wildlife & Parks, or Kootenai National Forest Service regarding the use of cameras on state-owned land.